The concept of judgment is at odds with today's culture, which considers it a sin to suggest there is such a thing as sin. Perhaps that is partly because we have seen all too clearly the fallibility of those who judge. What many of us long for is not judgment but righteousness and deliverance from oppression. That is why the books of Judges and Ruth are so relevant today: Judges, because it reveals a God who employs very human deliverers but refuses to gloss over their sins and the consequences of those sins; and Ruth, because it demonstrates the far-reaching impact of a righteous character. ;Exploring the links between the Bible and our own times, Dr. K. Lawson Younger Jr. shares literary perspectives on the books of Judges and Ruth that reveal ageless truths for our twenty-first-century lives. ;Most Bible commentaries take us on a one-way trip from our world to the world of the Bible. But they leave us there, assuming that we can somehow make the return journey on our own. They focus on the original meaning of the passage but don't discuss its contemporary application. The information they offer is valuable--but the job is only half done! ;The NIV Application Commentary Series helps bring both halves of the interpretive task together. This unique, award-winning series shows readers how to bring an ancient message into our postmodern context. It explains not only what the Bible meant but also how it speaks powerfully today. Judges: Ruth: NIV Application Commentary by K.Lawson Younger was published by Zondervan Academic in January 2002 and is our 18435th best seller. 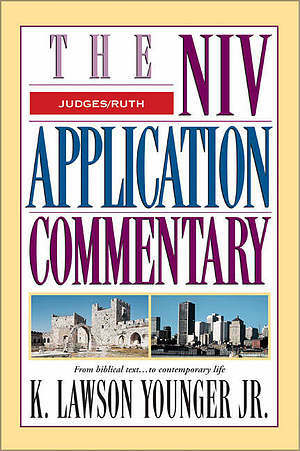 The ISBN for Judges: Ruth: NIV Application Commentary is 9780310206361. 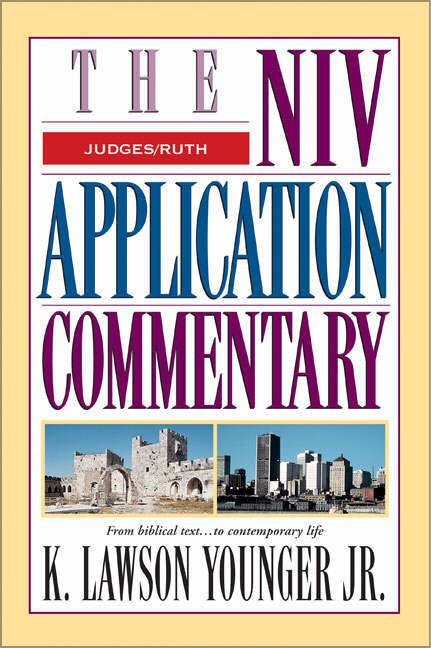 Be the first to review Judges: Ruth: NIV Application Commentary! Got a question? No problem! Just click here to ask us about Judges: Ruth: NIV Application Commentary.